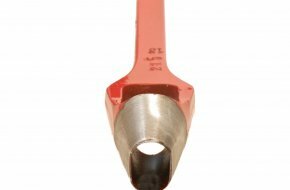 OPAS provide top quality hand tools for sail eyelets, eyelets, press studs and rivets. 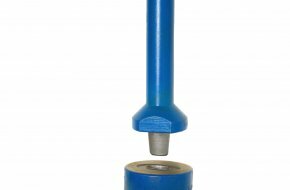 Disposables are low cost designs for hobby use, whilst the larger professional tooling is manufactured to a very high standard, often in Germany for a long, sharp and trouble free working life. 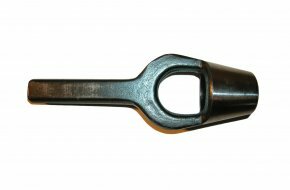 40mm Curtain Eyelet Cutting Tool For cutting clean 40mm round holes for heavy duty H331 curtain eyelets. 225mm long. 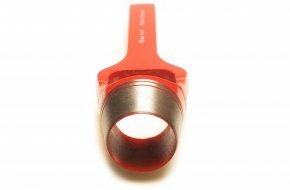 26mm x 7mm Cutting Tool for cutting clean rounded oblong holes for oblong eyelets and rings. 40mm x 7mm Cutting Tool for cutting clean rounded oblong holes for oblong eyelets and rings. Professional 40mm x 7mm punch and die set for perfectly setting heavy duty oblong eyelets and rings. 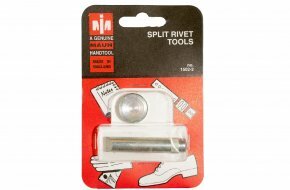 Disposable split rivet setting tool (sold as a two part set). 1/4 (6.3mm) hole punch. Matching punch and die to set eyelets - No20. Matching eyelets and grommets - No20. ¼" (6.3mm) hole punch. Matching punch and die to set eyelets - No21. Matching eyelets and grommets - No21. 5/16" (8mm) hole punch. Matching punch and die to set grommets - No00. Matching punch and die to set eyelets - No22RF (roll form set). Matching eyelets and grommets - No22 and No00. 11/32 (8.7mm) hole punch. 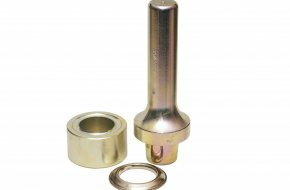 Matching punch and die to set eyelets - No23RF (roll form set). Matching eyelets and grommets - No23. 3/8" (9.5mm) hole punch. Matching punch and die to set grommets - No0RF. 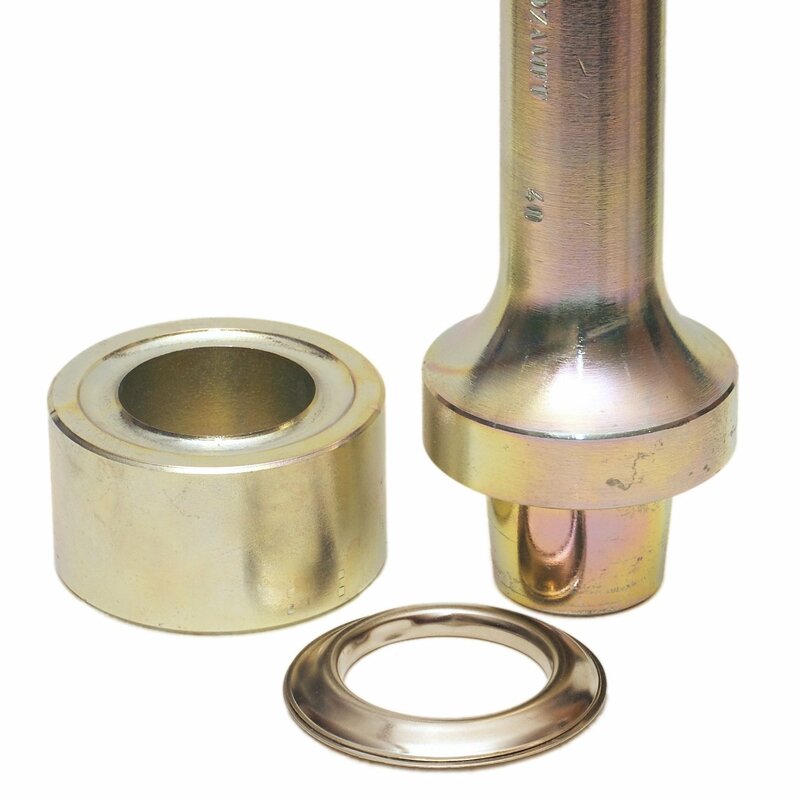 Matching punch and die to set eyelets - No24RF (roll form set). Matching eyelets and grommets - No24 & No0. 1/2 (12.7mm) hole punch. 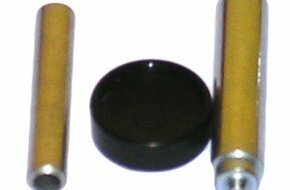 Matching punch and die to set grommets - No2RF & No3RF (both roll form set). Matching punch and die to set eyelets - No27RF & 28RF (both roll form set). Matching eyelets and grommets - No27, No28 & No2.